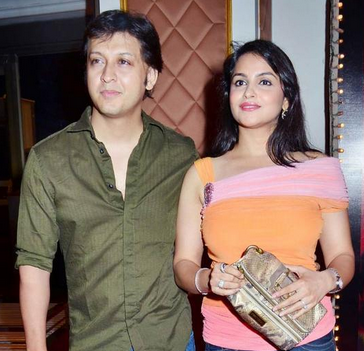 Arjun Punj of Star Plus’ ”Sanjeevani” fame will be seen in Diya Aur Baati Hum, along with his wife Gurdeep Kohli, who is currently doing the role of Rajkumar’s elder sister Maya (Bai ji). Arjun is assigned the role of the negotiator Mr Chaudhry and will be talking to the terrorists for trying to stop them from harming people on the plane. Arjun will be helping Sandhya in the task to freeing all passengers. Maya asks for Rajkumar’s freedom instead of Sooraj and Bhabho’s life along with all passengers. Sooraj will not be harmed by Maya as Sandhya stops her attack by negotiating. Sooraj and Bhabho are shocked by the hijack attempt and Sooraj tries to make RK’s network plan fail. It will be Sooraj who will be failing Operation Grahan and get back to his family. The show has become very exciting to watch, and has been ruling in viewer’s hearts. Zain and Aaliya take a Chinese avatar, by changing their looks again for their fancy theme party in Barkat Villa. Aaliya looks cute in her new look and Zain praises her. Zain gives her a rose and she accepts it. Bilal dresses in a retro look and roams around to flirt. Surayya dresses like Anarkali and looks different from her regular look. Aaliya becomes a victim of Zarina’s plan as she spoils her dress to make her go away, till she makes her plan of replacing Zain with Rocket. Zarina dresses like her nature of a witch and looks horrible. Zain looks like Rocket with a moustache and goatee beard and Rocket shaves off his beard to look like Zain. 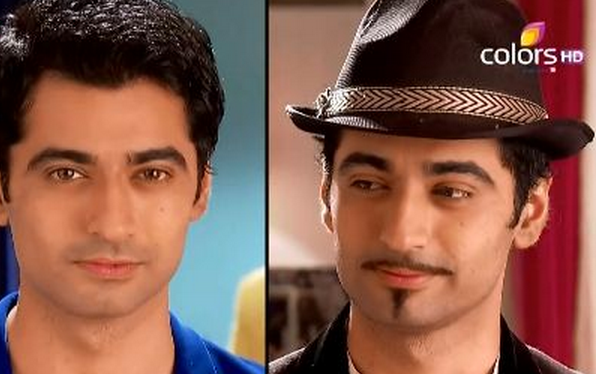 Zain and Rocket exchange their looks and Rocket is ready to swap Zain and take his place in Barkat Villa. Pratap fights with the soldiers blindfolded for their sword fight training. Ajabde comes to him with the sword and fights with him. Pratap does not see its Ajabde and defends well. Ajabde and Pratap’s sword fighting scene is well picturised. He hears her anklet sound and doubts it’s a lady. He removes his blindfold cloth and sees its her. He did not believe it’s a lady who fought so well. The day has to come when Pratap comes to know about Ajabde’s loyalty and Rani Dheer Bai plotting against Bijolia. Ishita is lost is Raman’s eyes, when Ruhi calls her out to listen to her. Raman walks to her and moves her saying Ruhi is calling you. She smiles looking at him. Ruhi is puzzled. Ishita feels like love for Raman and keeps a wide smile on her face. She has to admit it to Raman soon. She thinks to take Ruhi’s help for it. Ruhi tries to bring them closer. Finally, Ishq Wala love for Ishita and Raman…… On the other hand, Adi refuses to dance with Raman in the Sangeet function, which makes Raman upset. Ashok supports Adi just for the sake of hurting Raman. Later on, Bala advises Raman to take his marriage relationship ahead. Raman understands his point and blushes seeing Ishita. Pragya has confessed her feelings to Abhi. Abhi makes a song and shares the lyrics with Pragya. He asks for her suggestions. She speaks her heart out. . She says everything is incomplete for her without him, and Abhi thinks it’s part of a song lyrics. Pragya gets his guitar repaired and makes it reach to Abhi in his concert, but Abhi gives all the credit to Tanu. The MMS scandal played by Aaliya and Mitali is next in the show as we have written it few days back. Mitali calls Suresh at home asking him to teach her kids as their exams are starting. They make Pragya slip down the stairs and she gets unconscious. Aaliya shoots their video when Suresh lifts her and takes her to her room. Aaliya convinces Abhi to believe Pragya and Suresh having an affair in his absence. Abhi scolds Pragya, and she tells him that it’s all a lie and he is mistaken. Pragya defends herself and Abhi asks her to get out of his life by not believing her. Avni and Raj’s love has been a history now. There is a clash between the lovers once again. Avni steps in Raj’s house in much anger, as she has come to settle scores for Abhaas’ death. She does her Grah Pravesh on her own. Raj decides to give divorce to Avni, but she tears the divorce papers as she does not want to end her marriage and stay in his house to hurt him. Raj tells Avni that he hates her a lot. He asks what does she want from him, as he wants to end their relation. Avni dreamt of her and Raj’s romance before, but Abhaas’ death has burnt her heart and killed their love. but in reality she has to come to take revenge from Raj and is staying in his house. She says she will not spare him as his family has hurt her family a lot. Raj says you are increasing your difficulties doing this and kicks her out of his house. Virat smiles seeing their hatred. He says my secret will never come out in their fight. 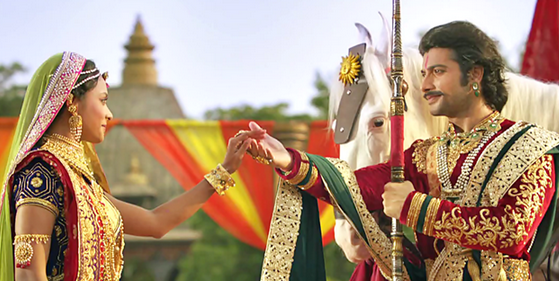 Avni prays to Lord for help and seek her revenge. Raj will be soon finding out about Virat’s truth. Nisha tells her parents that she decided to try anything new every day. Nisha is moving towards her mission and she gets her first victory. Nisha smiles as she can see her dream infront of her. She gets admission in Viraj’s (In last post, we have written his name as Virat according to Star Plus site) academy. She does not plan to fall in love or get married to him, but he is just her mentor and she respects him a lot. Tuhina Vohra will now be seen in the show as Gayatri Bua. Viraj lives with her, as he lost his parents. She is Viraj’s Bua who will be creating hurdles in Nisha’s life. Gayatri and Nisha’s first meeting gets bad, as Nisha laughs on her seeing her act young, despite looking an aunty. Nisha passes some joke on her, not knowing she is Viraj’s Bua. Later on, she apologizes to Gayatri. Nisha should be ready to face cropping problems. Aarzoo keeps the resignation letter on Sahir’s table and is leaving Saiyyara. She is upset as she lost the challenge to Sahir and did not think twice before resigning. Sahir comes to his cabin. Aarzoo realized her mistake and goes back to take it. Sahir stops her as she hides it and asks her the reason for it. Aarzoo gets nervous and starts praising plus insulting her. He reads her letter where she calls him a burnt toast….., you can’t even sell a brush in railway station…., life looks simple to her as working with him is most difficult…., and her wish is to vomit on him before leaving the job. Sahir gets angry and accepts her resignation. Aarzoo cries seeing her dreams break. 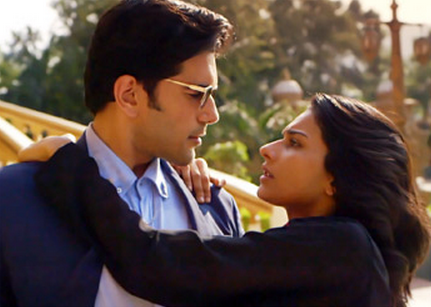 Will Sahir let her go from Saiyyara or stop her?